Kelli Russell Agodon is the author of Letters from the Emily Dickinson Room (White Pine Press, 2010), Winner of the ForeWord Magazine Book of the Year Prize in Poetry and a Finalist for the Washington State Book Award. She is also the author of Small Knots and the chapbook, Geography. Recently she co-edited the first eBook anthology of contemporary women’s poetry, Fire On Her Tongue. Kelli is the editor of Seattle’s literary journal, Crab Creek Review and the co-founder of Two Sylvias Press. She lives in the Northwest where she is a mountain biker, paddleboarder, and kayaker. She is recently completed her third book of poems, Hourglass Museum, which will be published in 2014, along with The Daily Poet, a book of poetry writing exercises she co-wrote with Martha Silano. Visit her at www.agodon.com or on Facebook at: www.facebook.com/agodon. She writes about living and writing creatively on her blog, Book of Kells at: www.ofkells.blogspot.com. Kelli tries her best not to write bad poetry, but when she does, she always tries to include megadeath and the word "soul" in it. 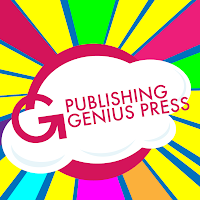 For July 2013, Everyday Genius is pleased to present poems that were rated below 0.4 on the "Poetry Assessor"—a tool that "is designed to determine whether a poem has the characteristics of a professional poem, or, alternatively, an amateur poem. We publish the poems here, with their scores, not to confirm the Assessor's judgment, but to allow human readers to decide for themselves.